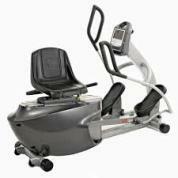 The SciFit Rex Recumbent Elliptical features our exclusive Orbi-Linear™ motion for a comfortable, natural workout that produces exceptional results. – Super smooth Orbi-Linear movement. and the arms in a smooth arc. – Optimized kinetic energy for added ease of use. – Low profile seat back for increased core recruitment. – Dual position hand grips. – Fit-Key imbedded documentation technology. – Heart Rate compatible with most wireless technology. *For more information on pricing see available options listed below.